Last week we brought you a tiny house on a tiny island, in the St Lawrence River, on the border between Canada and the USA. This time it's a slightly bigger house on a considerably bigger (though still quite small) island. 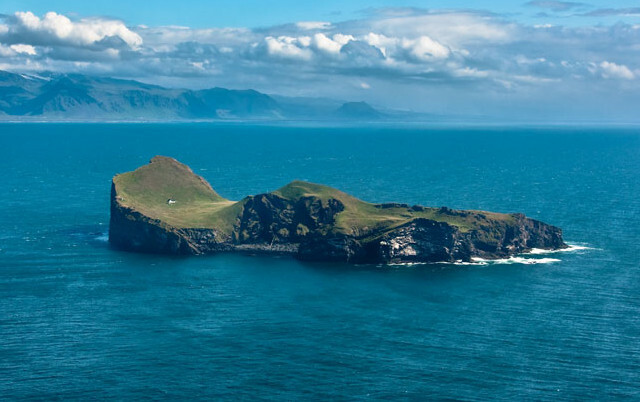 This is Elliðaey, in Iceland, and though the island used to be inhabited the only building remaining today is one rather substantial lodge, which is used by puffin hunters. To find out more about the island you can click here, or to see more amazing photographs of Elliðaey you can click on the image below.